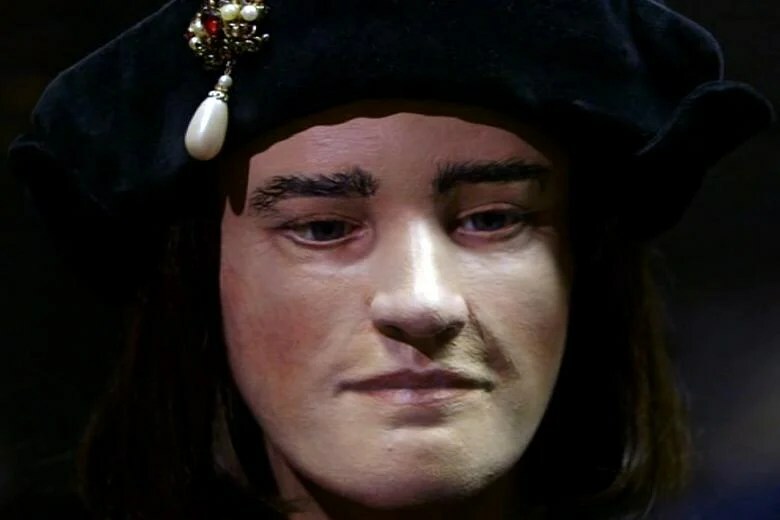 A reconstructed face of Richard III has been unveiled, allowing for the public and historians to see how the medieval king looked like just before he was killed at the Battle of Bosworth in 1485. The Richard III Society, working with the University of Dundee, undertook the facial reconstruction fromthe human remains found at the Greyfriars in Leicester, which yesterday was confirmed as belonging to Richard III. 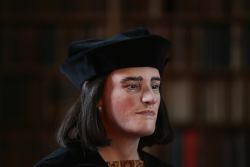 The calm and apparently thoughtful face is in stark contrast to the many portrayals of Richard III, showing contorted facial and bodily features, that were created for political reasons following his death. “It was a great privilege for us all in the Dundee team to work on this important investigation,” said Caroline Wilkinson, Professor of Craniofacial Identification at the University of Dundee. “It has been enormously exciting to rebuild and visualise the face that could be Richard III, and this depiction may allow us to see the King in a different light. Her colleague Janice Aitken, a lecturer at Duncan of Jordanstone College of Art & Design (DJCAD), part of the University, painted the 3D replica of the head that Professor Wilkinson created. Dr Phil Stone, chairman of the Richard III Society expressed his delight at the work that the Dundee team carried out, saying, “It’s an interesting face, younger and fuller than we have been used to seeing, less careworn, and with the hint of a smile. When I first saw it, I thought there is enough of the portraits about it for it to be King Richard but not enough to suggest they have been copied. The facial reconstruction will eventually be loaned to Leicester City Council to be displayed in their planned visitors centre adjacent to the Greyfriars site. The centre will be dedicated to telling the story of King Richard III’s life and death. The excavation, analysis and reconstruction was driven by Phillipa Langley, the originator of the ‘Looking for Richard’ project. “Seeing a true likeness of England’s last Plantagenet and warrior king meant, for me, finally coming face-to-face with the man I’d invested four years searching for,” she said. “The experience was breathtaking — one of the most overwhelming moments of my life. I wasn’t alone in finding this an approachable, kindly face, almost inviting conversation. The face was first shown on the programme Richard III: King in the Car Park, which aired yesterday on Britain’s Channel 4.